Castlegar BC adventures are located in the Columbia Valley at confluence of the Columbia and Kootenay Rivers in the Kootenay Region near Lower Arrow Lake (a man-made reservoir lake). Excited to be here in the Kootenays, Canada! 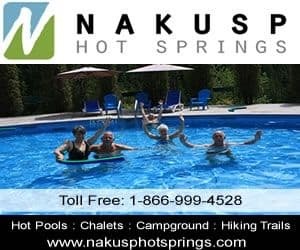 Activities most enjoyed in Castlegar and the surrounding areas include golfing, canoeing, kayaking, hiking, sightseeing, picnicking, boating, sailing, water skiing, fishing, wind surfing, birdwatching, swimming, birding, rock climbing, backpacking, mountain biking and xc skiing, ice fishing and snowmobiling. A few of the more popular activity and sightseeing park and trail destinations located in Castlegar, British Columbia and the surrounding areas includes the Millennium Walkway, Lower Arrow Lake, Nancy Greene Provincial Park, Elk Cutoff Trail, Brilliant Overlook Trail, Dove Hill Trail, Mel DeAnna Trail, Merry Creek Trails, Twin Rivers Park, Skattebo Reach Trail, and the Syringa Provincial Park. Some of the most visited sightseeing attractions, art galleries, historical sites and cultural venues in and around Castlegar, British Columbia include the Doukhobor Discovery Centre Museum & Historic Site, Verigins Memorial Park, Castlegar Sculpturewalk, Brilliant Suspension Bridge, Station Museum, Zuckerberg Island Heritage Park, CPR Station Museum and many art galleries. Travel services important to travelers in and around the community of Castlegar, BC includes accommodations (hotel, motel, inns, vacation homes, cottages, resorts, lodges, bed and breakfast, rental suites, hostels), tours, guides, campgrounds, winery, pubs, restaurants, gas stations, gift stores, liquor stores, grocery stores, coffee shops, cell service, internet, banks and transportation services including taxi and the West Kootenay Regional Airport. British Columbia, Canada Travel & Adventure Guide. Your source for booking and planning BC adventures and attractions. We are Canada's premier social travel website. Explore Castlegar, British Columbia, Canada Travel Guide for Accommodations, Attractions and Adventure. eh! Plan to Visit Castlegar today.